My first experience in appreciating just how cushy we’ve got it in a civilized world was when I lived in the Philippines. We used to joke that a person had been in the Philippines too long when they resorted to tying a gecko to their bedpost at night in order to keep the mosquitoes away. It seemed to me at the time that getting chewed up by mosquitoes was almost a right of passage for new-comers in the Philippines. 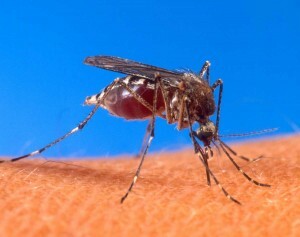 These bites would get so bad that to this day I have a “trauma mark” on my leg from a bug bite that supposedly will never go away. I was definitely not a fan of this nuisance and I tried many strategies to better protect myself with limited resources. Even highly acclaimed Avon Skin So Soft only worked for short periods of time. I would have to keep reapplying it to ensure that Thanksgiving didn’t come early for the blood suckers. One of my most memorable “freak out” moments was when I was kneeling ON my bed to say my prayers at night. I had long abandoned kneeling on the floor with all of the creepy crawlies. I had always understood that mice are more afraid of us than we are of them and wouldn’t infiltrate our world. Well, I say that’s a bunch of bologna! Several of them chose to crawl across me all at once during my prayer! I admit it; I freak out just at the sight of spiders, mice, rats and snakes, let alone when they try to join me for prayer! Needless to say I didn’t sleep very well that night. So, let’s make sure you don’t have the same experience--better yet, I’ll share some strategies with you so that you don’t risk losing valuable clothing, nutrition, health, and easily accessible water to such necessary evils. 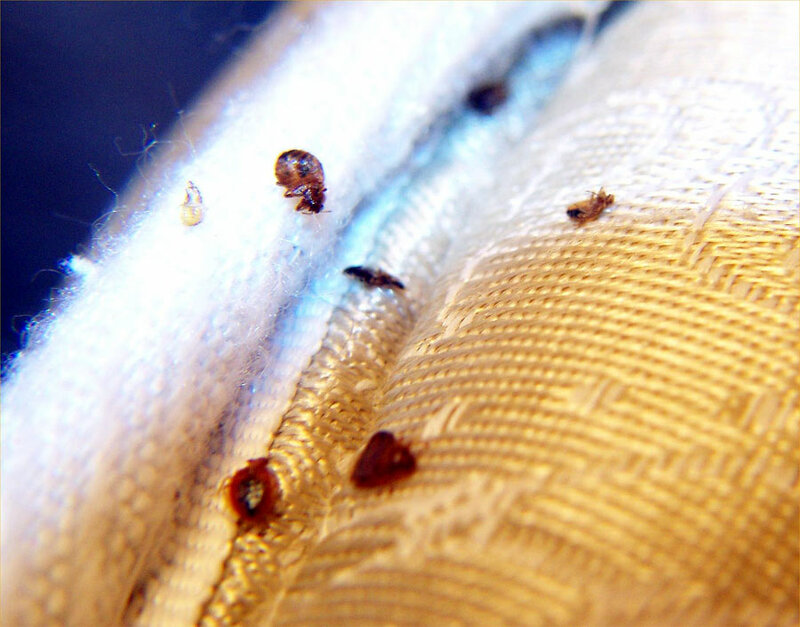 Worried about more than Bed Bugs? 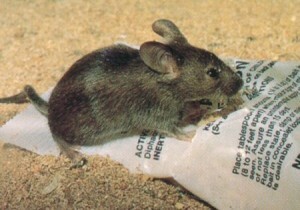 Mice and rats: Even if you don’t have need of them now, it’s wise for you to stock up on mouse traps—and peanut butter. No need to mess with poisons and risk exposing the family pet or children to them. But I assure you they LOVE peanut butter. I recommend traps before poison anyway because all that happens when you poison them is that they end up dying in the walls, and one of the smells I will never forget is the nasty smell of dead rats in the walls. Ugh! It was so bad I swear I could taste it. I’d fall asleep at night with a pillow over my face (to avoid the smell and any mice scurrying across me.) Good news with the peanut butter though; they aren’t choosy so you don’t need to splurge on a name brand. Mosquitoes, ticks, flies, spiders, lice, and bed bugs can make even Pollyanna turn into a sour puss; basically all of the creepy crawlies: A key strategy that’s perfectly safe for you and the pets, but deadly to the world of insects, is FOOD GRADE Diatomaceous earth. I’ve written several articles on this topic so I encourage you to do a search on this blog for it. In the meantime, I’ll cut to the chase and let you know that you can mix a couple tablespoons in about 4 cups of water and spray the mixture around your house and replace the guy who sprays the harsh chemicals. DE is one of my all time favorite gifts from the earth. That which you can spray on your garden leaves to keep pests away can also be consumed by your pets, cattle, children, and yourself to make you healthier. Additionally, consuming it will help your animal friends to repel mosquitoes and flies, or you could just spray their coats if you’d like, but it’s so much easier with many more benefits if you just add a bit to their food instead. I feed my small dogs about a teaspoon daily and I use 1 tablespoon in my water each day. (A cattleman/farmer first turned me on to this amazing tool and I continue to be amazed as I discover more and more uses for it.) Just as a quick reminder, I also put a tablespoon or two into my 5 gallon buckets of grains in order to kill the weevils. It’s got an infinite shelf-life and unlike oxygen absorbers it won’t pose a problem if a curious toddler decides to nosh on it. There are a lot of God-given plants which repel bugs and the nice side-effect is that plants also act as a filter of the air and creates oxygen for us. So, while I’m not an expert in this regard, I would suggest that you look into natural botanical repellants. Speaking of botanicals, I insist on having specific essential oils on hand to help me with the cause and effect of unwanted guests. (The four to eight-legged kind, folks. Unfortunately, I haven't found an essential oil which helps you get rid of unwanted in-laws or neighbors—though I have been practicing a new theory—if I talk to people about a non-existence “multi-level opportunity” they run for the hills! Mission accomplished. *insert wicked laugh here* Oh, oops!. I hope they don’t read this blog!) I insist on having Lavender on hand to heal the bites, even bee stings and non-poisonous spider bites, but there are plenty which actually repel them, such as tea tree, eucalyptus, lemon, basil, and even geranium essential oil. In fact, putting a combination of these essential oils in a spray bottle with some aloe juice will result in a refreshing spritz that you can apply directly onto your skin. There’s a blend which I have stocked up on from Be Young Essential Oils called “Tic-a-boo.” I take it with me whenever I have to stay in a hotel while traveling. I just put a drop here and there on the mattress and pillows and I sleep well without worrying about bringing bed bugs home with me. In the Philippines, if there was even a grain of rice left out on the counter, an army of ants would quickly arrive. It was there that I learned about using chalk to repel them. Yes, chalk! It was a more toxic chalk than what we use here in the U.S., containing lead and mercury compounds, but this knowledge led me to better understand why diatomaceous earth works against these buggers. Ants breath through spiracles in their abdomens and clean themselves with their mouths. 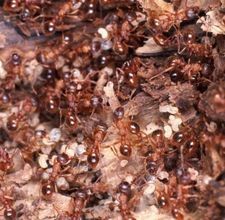 Even fire ants will avoid walking across a sprinkled line of DE, as it’s a fine dust that clogs their digestive systems AND dries them out. I’ve managed to fill an entire four-gallon bucket with several commercial bug repellant sprays that I’ve purchased for $0, or at the very least, 10% of their regular price—thanks to couponing; but I’d prefer to not have to use anything that contains Deet. There’s simply too much research that has influenced my animosity towards that ingredient. And if I’m enduring some type of long-term “preparedness” scenario, the last thing I need is one more thing that can pose as a poison for kids. If times are tough, then that means that traditional health care won’t be easily had either. (Yet, one more consideration in favor of taking these types of precautions now as well.) Let’s not forget making use of the natural warriors for unwanted pests—cats. Nowadays, de-clawing a cat is considered inhumane and I personally have to agree, which is why I didn’t have my little tyrant, Starry, de-clawed. But I also considered the ramification from a preparedness scenario. If my living circumstances were to “go South” having a good mouser is only possible if she’s got claws; and it’s also imperative for her to be able to defend herself against other unwanted invaders. While I don’t even like the thought of her having to live outside of our home, if things came down to it, she’d be living outside of the human shelter to help protect us against rodents and for cat box business. Once we turn her out that way, she’ll still come back for TLC, clean water, and her favorite snacks, but she’ll have to stay out of living quarters so as to ensure that she doesn’t bring in any diseases with her. Your canine friends will do a good job at protecting you from snakes and rats, but be sure that you feed them the DE to keep them from ticks and fleas, etc. 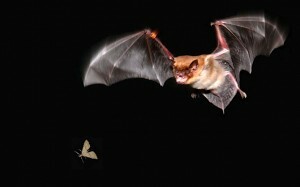 There are some rather extreme “natural” measures that folks can use to control pests, such as actually attracting bats! 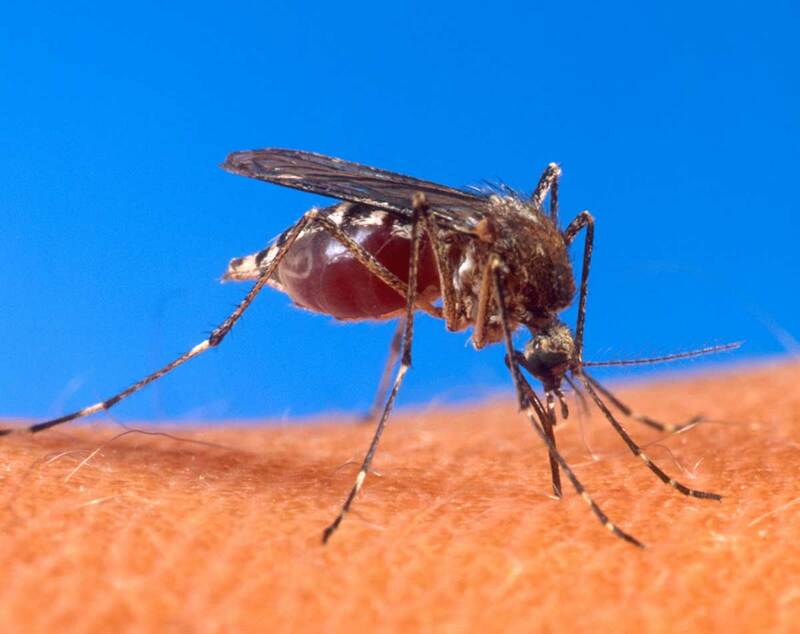 Sure, they eat as much as 600 mosquitoes per hour. But frankly, I just don’t have the stomach for such nonsense. (Night blooming flowers such as primrose attract them, as do dense bushes, hollow trees, and abandoned buildings. Hey, you can even build a bat house –as opposed to a bird house. *shiver*) I can just hear it now, “Hey Honey, would you like to go camping with me this weekend? No. I loathe camping because of how dirty it is and all of the creepy crawlies. And besides, I’ve got bats to attract!” While I’ve read of some “preppers” attempting to initiate this effort, I think that such persons have way too much time on their hands or perhaps are attempting to sensationalize their preparedness efforts. I would definitely prioritize time towards every other aspect of self-reliance before I would go to the trouble of raising bats. Good grief, at least chickens, ducks, and turkeys provide me with a food source that I enjoy after they’ve fattened up on bugs, slugs, ticks, Japanese beetles, etc. Geesh! Bats…really?! My point being, remember I’m the laziest prepper you’ll ever meet. I simply don’t subscribe to taking on such projects when there are gardens to tend to, meats to be canned, and other skills to learn such as making a fire out of ice. *grin* Ultimately, the best tool for keeping these party poopers at bay is prevention, including immediately disposing of garbage, staying clean hygienically, and eliminating any food and garbage scraps. I’ve spoken to a whole lot of folks who haven’t given any thought towards stocking up on supplies which will keep their shelter or their own bodies clean. It seems that they would be less “macho” if they were to plan for such contingencies. But the fact of the matter is, the reason why we don’t have massive infestations in our homes now is because we keep them clean. Regardless of what you may be preparing for now, it’s important that you do plan on such cleanliness, regardless of your living circumstances. It was also a welcome sight to see the Filipino people take this counsel to heart. They would even sweep their dirt floors in order to rid the inside of their shelters from food crumbs and such that would attract rodents. Just as an FYI; before using ANY canned or bottled foods, it’s imperative that you clean the surface, as mice waste can carry several deadly viruses. This isn’t a “doomsday” suggestion, rather an everyday one. It’s in anticipation of these problems that I also have a great deal of protective gloves and air masks on hand. Never go into a questionable environment without proper protection. While there may come a time in your life in which you’re scavenging deserted dwellings for food, water and other supplies, I hope that you’ll remember to use such tools and precautions. Great article as always. Like you, I loathe bugs and creepy critters, esp. those I can't make disappear with the vacuum cleaner. So why did I move onto 20 wooded acres? The creepy crawlies that can be eliminated with DE & traps are much preferable to the ones that roam and loot urban areas. Seriously, the DE is wonderful and I've been stocking up on it as well as all sizes of trash bags, face masks, gloves, etc. I've learned that personal hygiene is a higher priority (for me) than a meal. If time permits, I'd like to eliminate all the carpet in my home and replace with hard floors which will be much easier to clean if the grid goes down. I must say, that was a very informative piece you published there. Thank you for keeping me on your mailing list, even after my earlier tirade. Excellent! I have most of what you recommend, but only in normal amounts...never really thought of stocking up on mouse traps! Will have to do that...AND go out and get a couple more bags of DE. Thanks for the head's up! I couldn't agree more with your assessment. I personally feel that we Americans do not fully appreciate the destruction, annoyance, and even diseases that bugs and critters can and will bring to our doorsteps post-disaster. Thanks. You're the best! I had no idea you could use DE as a spray. Fantastic! Remember me from Mexico? Anyway, I am still struggling to find ways to safely store my food. After much searching we have found, food grade DE, dry ice, and FDA approved 25 gallon liquid containers with a small screw top. If we use these containers without Mylar bags, will the storage life be much diminished? Which do you prefer among DE, dry ice, oxygen tablets (which we believe we can obtain), or bay leaves or a combination of these? Thank you for always giving us new strategies to consider. I would recommend the DE first and foremost. Bay leaves are great in a pinch, but you need several just to take care of a number 10 can. The containers you describe should be suitable for your needs. You're primary obstacle will be the heat and humidity. So be sure to store them out of direct sunlight and do your best to protect them from humidity. Oxygen tablets are great, when they work, but I've discovered far too many that are damaged before they even leave the warehouse to get to me. Hang in there, Marge! Thank you so much. We now will go forward full steam ahead. One more question please. Since dry ice is readily available, should we use it first for the humidity, and then the DE before sealing? And how much DE for this size container? I can't tell you how much we appreciate your expertise and willingness to share. I use 2 tablespoons of DE in my 5 gallon buckets. So I'd measure accordingly. Another good thing to have around is bentonite clay. The food grade can be taken internally for parasites and infections. Externally it's good for just about any insect bite including the brown recluse spider. Most ceramic suppliers carry bentonite in 50# bags for less than 20 bucks (not food grade). Also, a clay bath is a good anecdote for radiation poisoning and staph infection. I've also read that soaking in clay prevented an amputation from gangrene. DE is also an remedy for intestinal parasites as a slicer and dicer! I don't like hydrogenated oil in my peanut butter (or anything for that matter) but I'm sure the mice won't mind. I knew ConAgra was good for something! 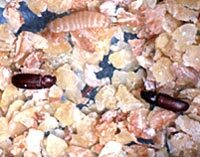 The food grade DE will address the parasites as well and is much less expensive than the bentonite clay and several studies I have read show it as being much more effective than the clay because not only will it kill them, but it will cleanse them out of the system. Clay isn't as effective for that unfortunately. Also, I'd be cautious in buying into using clay for AFTER being exposed to radiation poisoning. It's a great all-natural preventative, but is too slow for after the fact. Also, clay has absolutely NO anti-viral components to it, thus Staph infection won't be effective by it. (Neither will DE). However, I drink 2 teaspoons daily of Redmond Clay and stock up on it for external uses such as you've mentioned here. I also use it weekly as a face mask. My niece couldn't believe how much of a difference it made on her acne---and as a teenager that's a big deal. My sister has frequent cold sores (she's a bit of a stress bucket) but the clay diminishes the sore promptly. Wow, once again I learn new tidbits. . . THANK YOU!!!! Got some DE. . . using it around the house. Question. . . can we sprinkle a tad of it in the Princess Kitties water???? Oh and she thinks mice are toys. Came and woke me up one night because one got in the house when we had the floor torn up. She wanted me to play toss with her using the mouse. . . a Princess, by all rights. Yes, felines can handle it just fine too. It's better to error on the side of too little rather than too much. Just a pinch will be fine. I find it easier though to put in in her wet food. Interesting, DE against bed bugs!! That is the one critter I really worry about after hearing WW II stories from relatives. One point, and one question, please. 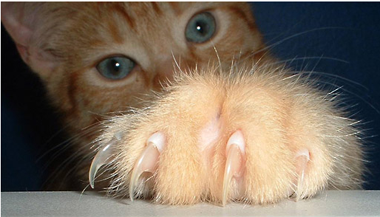 Our two cats are front-feet declawed, and it doesn't stop them from hunting . . . moles, voles, bunnies, birds, etc. I think if they were fast enough, they might even try to drag home a deer! (Just kidding about the deer, but serious about the rest!) Where do I purchase DE? Thank you! Feeling foolish . . . I just figured out where to purchase DE! Don't underestimate the importance of bats. We built bat houses (took less than an hour to build 6 houses) and it's a fun project for kids. We have them around our 1/2 acre property. Once they're up, you ignore them. The bats will find the houses and take residence. Have had them for 6 years with no troubles. When others complain about mosquitoes, Japanese beetles and other bugs in their yard or destroying their gardens, we smile. Our cat is declawed, but is still an effective mouser. He simply catches them, then drowns them in his water bowl. Great article Kellene,As Ive said before I use DE for all my livestock..also sometimes we use white flour from the store to stop ants and bugs in the garden and around the house(should tell us something about flour) dosent stopthe fire ants though..I paint with oils and when I throw away the old Turp from cleaning brushes I put that on ant hills..not really good but cheaper than gasoline,thats about the only thing that kills them here in Texas,,I believe they are immune to the ant stuff you by in the store.Also with all of your couponing.I stock up on listerine and put it in a spray bottle spray on yourself and around the deck and it will keep the misquitoes off of you ,just dont get it on the plants and stuff it will kill them.. I must be one of those nonsensical "preppers" who value my bats for their insect control. In the midst of gardening, wood cutting, canning and anything else I can think of to get ready for hard times, I still find time to turn on the dusk-to-dawn yard light to attract flying night bugs for the bats to feast upon. I figure they're taking care of a few hundred mosquitoes while they chow down on the moths around the light. I have even had a couple get into my house and managed to gather them up gently in a towel from their hanging perch on my curtains and took them outside to patrol my yard once again. I really glean a lot of good info from your articles, like using DE mixed with water for garden bug control. I tried puffing it on dry with a pump applicator, but it was awkward and ineffective. Looking forward to mixing up some tomorow for the little worms chewing on my kale plants. I'm surprised at your opinion of camping. Although I don't have time or cash for vacations now, as any spare cash is used for stocking up, I always found camping to be restful and a great way to recharge my batteries. To me it's about as close to God as I can get and still have my feet on terra firma. I really appreciate all the effort you put into helping all of us get ready for "whatever". But really, don't give bats such a bad review. After all, beauty is only skin deep! When it comes to bats and camping, I guess I'm just a wuss. :-) That's why I'm preparing so intently now. I have no desire to "prepare to be miserable." Recently our pipes were stopped up and we had a plumber come out and he had to get on the roof to clean them out. I live in Arizona and we have scorpions in our yard so when I first moved in we had the house sealed. After the plumber left we started seeing a lot of ants in the kitchen and bathroom sinks so he must have taken off a screen or something on the roof to clean out the pipes. I had the guy who sealed our house come out last weekend but there was probably 100 ants in the kitchen tonight I was chasing around and killing! Can the DE in the water solution be used to take care of the ant problem or will I need to use the powder? How about outside of the house? Does the water mixture work on ants out there? Any suggestions for scorpions? I can't tell you how much I appreciate all the time, energy and thought you put into all the information you give us on your site. Thank you, thank you, thank you!! Kellene, I am searching for a cure for weeviles...I brought in a bag of Ezekiel grain and left it in it's paper bag (25#)...a few months ago...life got in the way and I forgot it. I have never had weevils in my basement, ..some 35 years, and now that bag, sitting in a box, is alive with them. How to I rid the nasty critters out of my basement. Box is sitting near a chest freezer, under the stairs...can't move the freezer. Thank you so much for your input...love your information. Diatomaceous earth is your best asset, Linda. Just put it in the search bar with quotation marks and you'll find the articles I've written on it. It's good for YOU but bad for them. And just so you know, there's no such thing really as a grain that doesn't contain weevils. They are always there, the key is whether or not you allow them to get bigger so that you can see them and more of them. Oh yeah, and DE is cheap too! (You can get it Fivestarpreparedness.com (http://www.fivestarpreparedness.com/?section=health-supplements#health-s... ) and by the way, they've got free shipping for the next 48 hours too! Good luck!